How many times have you gone to the grocery store, only to get home and realize you forgot something? If you’re anything like me, a string of expletives follows, and then you either trudge back to the store in defeat, or you do without said item. You didn’t need that pint of ice cream anyway, right? Of course, you could make your life easy by bringing a list with you, and there’s no shortage of shopping-list apps these days. There’s always pen and paper, too. A company called Hiku Labs wants to make the task even easier by eliminating the need to write or type anything. 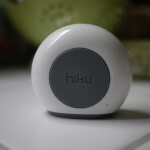 Next week, the San Jose, Calif.-based startup will begin shipping its first product, simply dubbed Hiku. It consists of a small disc that contains a commercial-grade scanner, a microphone and Wi-Fi, and an accompanying mobile app. The idea is that whenever you’re running low on an item or need to get something, you just use Hiku to scan the bar code on the package at home, or record a voice memo, and it’s automatically added to your digital shopping list on the app. Hiku Labs says the advantage of its product is that it’s faster than using an app or pen and paper, and that even a 5-year-old can use it. After testing it for a few days, I agree that it’s simple, and works pretty well. But I’m not convinced that it’s worth spending $79. There are apps like Grocery IQ and Out of Milk that provide similar functionality using your smartphone’s camera or microphone. Perhaps more important, they’re free or cost just a few bucks, and in some cases include coupons. 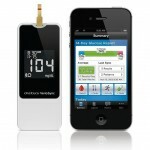 Hiku Labs notes that it will continually update the product with new features and improvements. For example, an Android app is planned for the future, and the company is working with retail partners to add the ability to buy products online right from your phone. So, there’s potential for Hiku to be more useful. 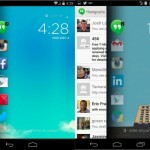 But, as it is right now, I don’t see a compelling reason to pick Hiku over one of the similarly featured apps. 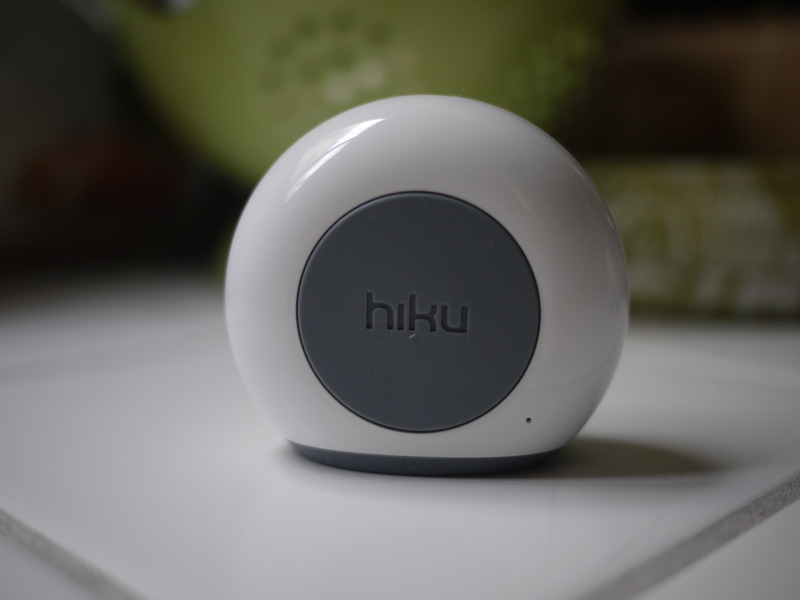 Hiku’s design is elegant and simple. 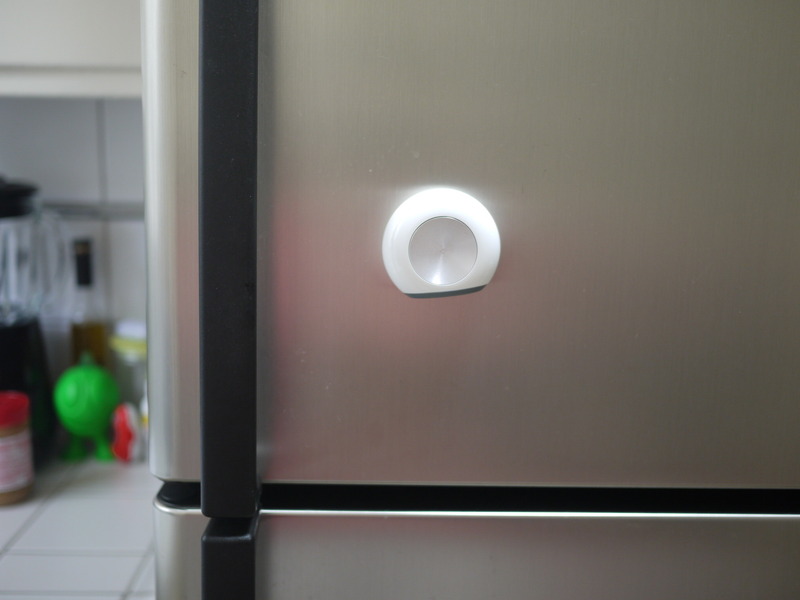 The small puck only has one button, and it has a magnetic back, so you can stick it on your refrigerator for safekeeping and easy access. 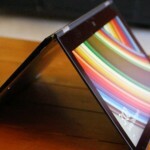 It’s also water-resistant and feels like it can withstand a fall or two. The company says the rechargeable battery can last about two months with normal use. In order to communicate with the app, Hiku needs to be connected to a wireless network, but set-up is pretty painless. 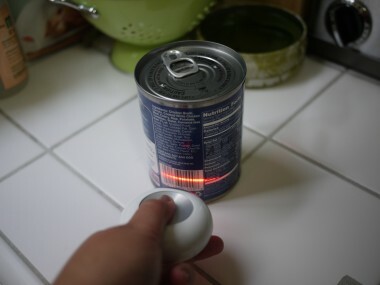 To scan bar codes, you just have to press and hold the large silver button. But, in trying to keep things simple, the company made Hiku almost too minimalist. When scanning items, the device plays a different tone, depending on whether or not it was able to add an item to your list. For example, the beep sounds upbeat when successfully adding an item to your list, and downbeat when it didn’t understand a voice memo. There’s another pattern when it’s unable to recognize a bar code. It’s pretty easy to distinguish between the beeps, once you’ve heard them all (they’re also spelled out in the quick-start guide). But Hiku could benefit from having a small LED somewhere on the surface of the device to notify you to different alerts. There is an LED next to the scanner that blinks different colors depending on the Hiku’s status (asleep, ready, etc. ), but you can’t see it when scanning bar codes. Creating shopping lists was relatively easy. 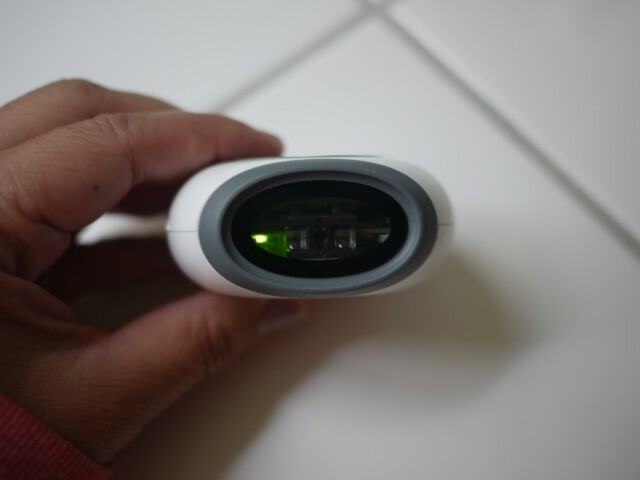 Hiku was able to scan most bar codes quickly, but there were a few times that I had to rescan because the sensor was too far or too close to the label. 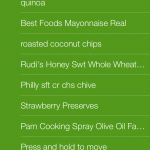 As a quick comparison, I downloaded Grocery IQ, which uses a phone’s camera to read bar codes. 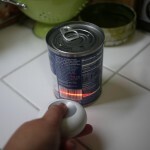 While Hiku was slightly faster at scanning most items, there were also a handful of products that Hiku didn’t recognize, like Jif peanut butter and Dole orange juice, whereas Grocery IQ did. Hiku currently knows about 10 million bar codes, and the company admits that there are going to be products it won’t recognize, particularly from private labels. In those cases, you can hold down the button and record items using your voice. 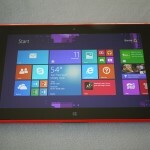 When doing so, the system is smart in that it will associate the product name with that bar code for future reference. This information isn’t only available to you, but to the entire Hiku community, so the more people who use it and add products, the bigger its database will get. I found the voice-recognition system to be pretty good. It accurately transcribed words like “bananas,” “roasted coconut chips” and even “quinoa.” But I had to go back and fix some items, like “acai” and “Sriracha sauce.” To be fair, those are pretty tough words. 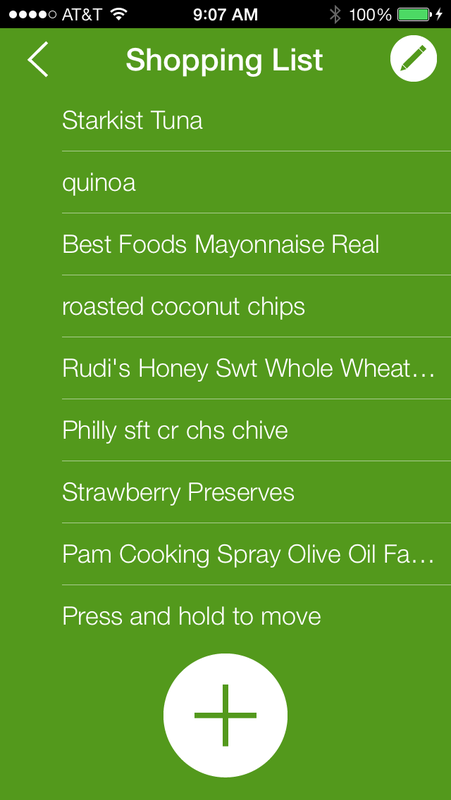 The Hiku app is relatively straightforward. To cross items off your list, you just swipe right to left on the screen. 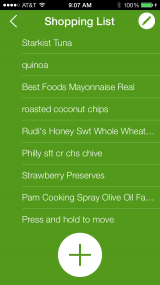 You can mark products as favorites — or “Regulars” as Hiku calls them — so you can quickly add them the next time. Hiku can also organize items by “Aisles” or categories. Currently, the app does this for more than 1,500 common items, but I had a lot of specific products that I needed to manually drag and drop into categories. As with unrecognized bar codes, though, Hiku will remember your preferences in the future. Hiku makes creating shopping lists easy and fast. But like a lot of first-generation products, it could use a bit of fine-tuning. Some new features, like direct online shopping, may make it worth the extra cost. Until then, you might want to hold off.